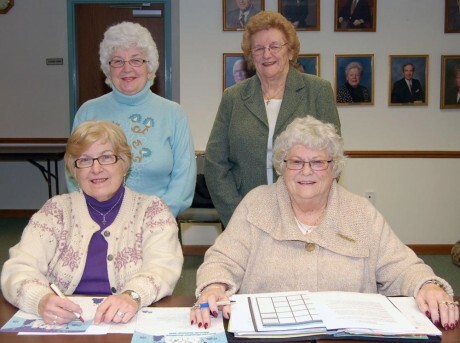 Members of the Oswego Hospital Auxiliary recently elected their officers for 2011. Seated from the left are Vice President Mary McCarthy and President Barbara Handley-Place. In the back row are Treasurer Sheila Gurdziel and Secretary Marion Duplessis. The Auxiliary holds several functions each year, including its popular fall bazaar, which raises funds that support Oswego Hospital projects. The Oswego Healthcare System is a not-for-profit organization and includes Oswego Hospital, The Manor at Seneca Hill, a skilled nursing facility; Springside at Seneca Hill, a retirement living community; an urgent care center in Fulton, as well as health services centers in Mexico, Parish and Phoenix. For more information, call (315) 349-5500 or visit oswegohealth.org.